On this website you will find information on why this is such a fantastic area to live in or visit. Nestled in a beautiful part of North Shropshire the villages and their surrounding areas remain unspoiled by development but within easy reach of all modern amenities. We hope that you will find the information it contains interesting, informative and useful. You can find out more about the various sections and the team who have put it together in our “About” pages. Please take time to look around and please do contact us if you have any comments to help improve the site. 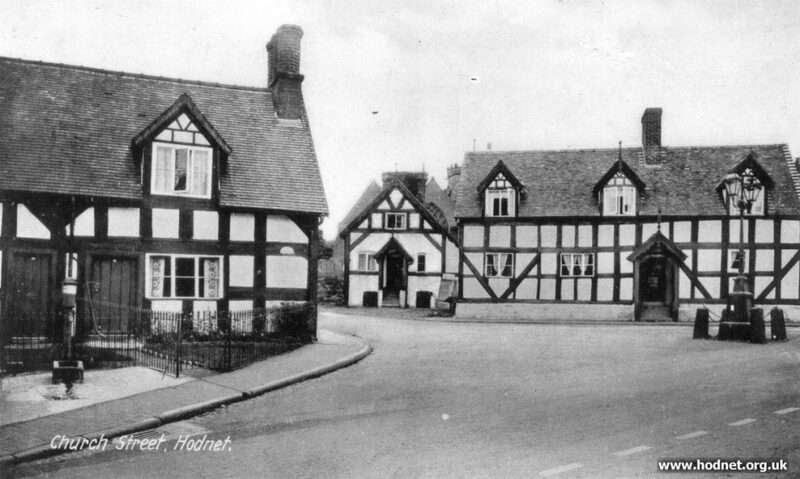 These two images are of old postcards of The Square in Hodnet. One is almost certainly a sketch whilst the other is a photograph. If you look carefully at both pictures you can see some significant differences between them. There is also another difference between both of them and The Square today. Finally, there is also something in front of the two cottages on left of the second photo – can you work out what it is? You will find the answers to these questions in our Nostalgic Photographs section along with many more pictures from the past. The house in the centre of both views is the Hundred House which also features as our website’s logo. 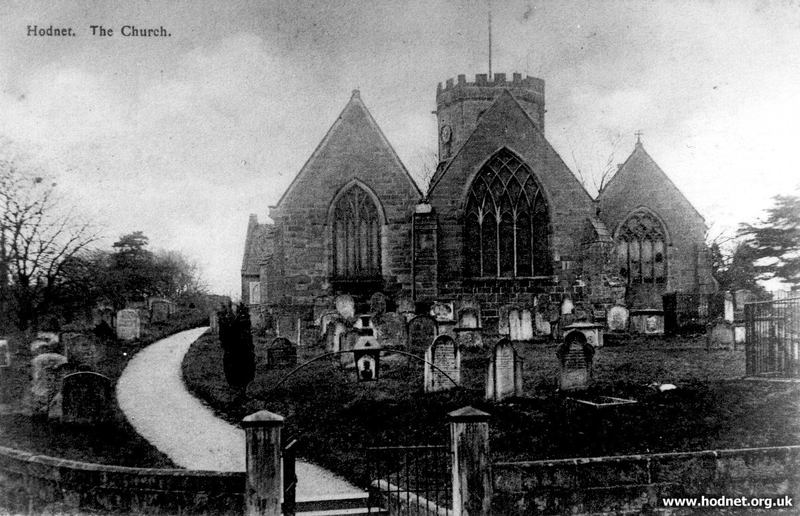 There is also a significant difference between the two views of Hodnet’s Parish Church below. The earlier one is a coloured sketch whilst the black and white one is a later photograph. Again the answer is on one of the pages of photos from yesteryear. 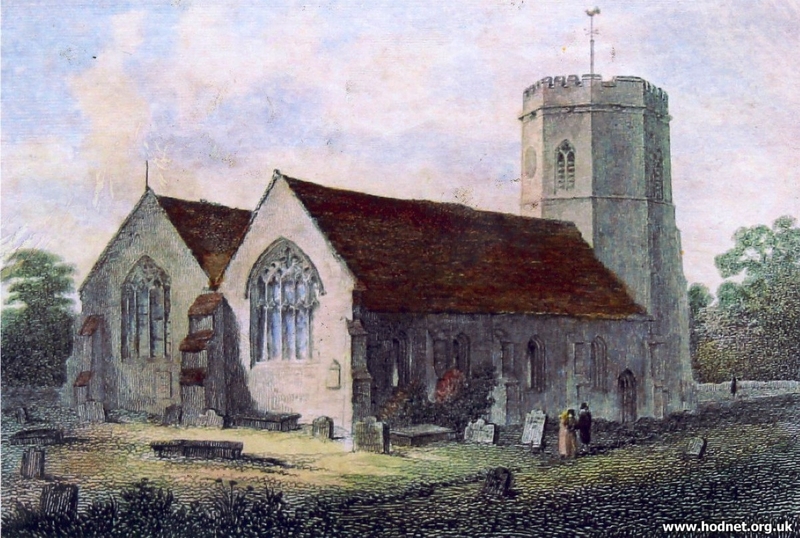 There is a lot more information about the past on our Local History section. This includes information about the different villages as well as specific items including information on the pharmacy which once existed in Hodnet, and on the the construction of the Hodnet & Wollerton by-pass which opened in 2003. 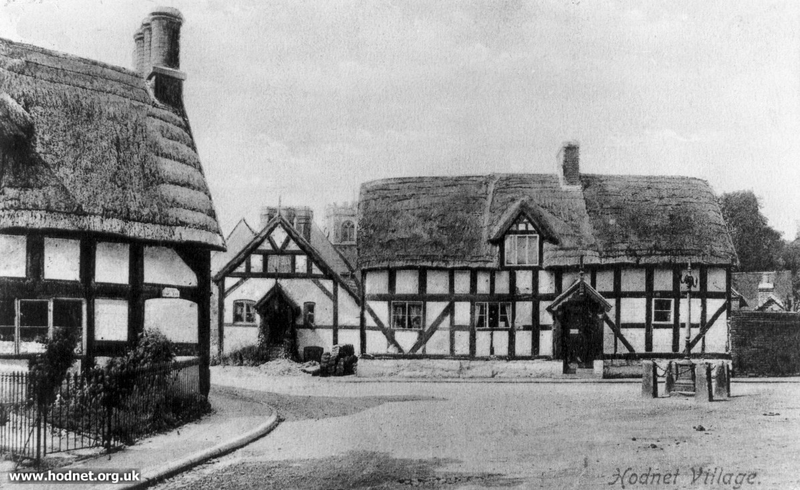 The largest feature in this section is the recently digitised version of Hodnet – A Miscellany of Memories, which includes accounts from residents who lived in the area for many years. 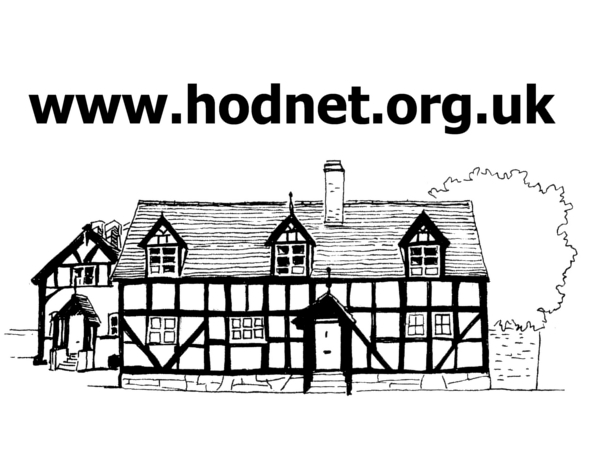 The Hodnet webteam would like to add to this section of the site but we need the help of others. If you have more nostalgic photographs, information on how to send them to us are on the index page of that section. If you have other material which may be of interest to us please use this form to contact us.